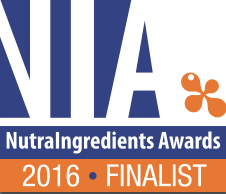 Phynova is pleased to announce that our innovative natural food ingredient for healthy blood glucose levels, Reducose®, has been short-listed as one of three finalists for in this year’s prestigious NutraIngredients Reader’s Ingredient of the Year award. An international panel of industry experts evaluates entries against strict criteria – demonstration of efficacy, proven safety, market potential and real innovation. The top three are selected for NutraIngredient’s readers to vote upon, with the winner being announced at the awards dinner at Vitafoods Europe in Geneva on 11 May 2016. Reducose®’s recognition as one of the top ingredients for 2016 reflects the urgent need to address the global pandemic of obesity and diabetes. Governments across the world have recognised the need to act on the alarming increase of type-2 diabetes and the fact that their healthcare budgets will not be able to cover associated costs. Today there are c.415 million diabetics worldwide, and probably twice that number are pre-diabetic. Reducose®, Phynova’s patented natural functional ingredient, derived from active compounds found in the mulberry leaf, has been clinically proven to reduce blood sugar levels following meals containing high levels of sugar or refined carbohydrates. It can be directly incorporated into everyday foods and drinks making them ‘better for you’. With the growing evidence linking obesity, prediabetes and diabetes to carbohydrate rich diets, Reducose® could possibly play an important role in preventing diabetes, and we are working with global food and drink companies to incorporate this innovative natural ingredient into everyday foods and drinks, as well as making it available in supplement form. The winner of the Reader’s Ingredient of the Year will be announced on Wednesday 11th May 2016 at Vitafoods in Geneva. Voting closes on 22nd April. Vote now!